For the Twin Cities Buick GMC Dealers, people have always been at the heart of what we do. Genuinely connecting and helping everyone as they travel along life’s journeys and adventures will always be our business. As such, we support and participate in many the premier events in Minneapolis, St. Paul and throughout the state. Please take a look at where we will be next and check back periodically for information on discounted tickets, new contests/promotions and photos of the fun. We look forward to seeing you there! For 53 years, Afton Alps has delighted the Twin Cities’ families as one of the Midwest’s premier winter destinations. Nestled in the scenic St. Croix River Valley just outside Minneapolis and St. Paul, this sprawling resort boasts nearly 300 skiable acres, 48 trails, 18 lifts and four terrain parks. Accessible, affordable and fun, this big-time resort with a small-town feel has converted thousands of first-timers into lifelong skiers and riders, and now with the opportunity to take that passion to Vail Resorts’ iconic western mountains, Afton Alps is truly the place where Epic begins. Home, Gardening, Remodeling and Home Decor show. Minneapolis Home and Garden Show will give you the opportunity to meet over 1, 000 experts and experience thousands of products and services. 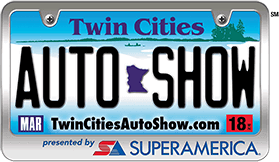 The Twin Cities Auto Show is your chance to compare more than 600 vehicles from 36 foreign and domestic brands side by side – without driving all over town. You will see new models in every category, from compacts and family sedans to the latest in SUVs and luxury cars. You’ll see trucks that offer better mileage, greater utility and convenience, and more luxury features than ever. You’ll hear about financing options, leasing availability, and how you can obtain your dream vehicle! You will learn about advancements in technology such as in-dash navigation, audio enhancements, communication technology, and more! And of course – instead of just dreaming about it – the Twin Cities Auto Show is where you can go behind the wheel of one of those sleek, shiny new sports cars. The iconic NCAA’s Men’s Final Four Basketball Championship is returning to the Twin Cities. This will be the fourth time Minneapolis has hosted this distinguished men’s basketball event. It’s a fresh opportunity to showcase our vibrant, welcoming community to the nation and the world. 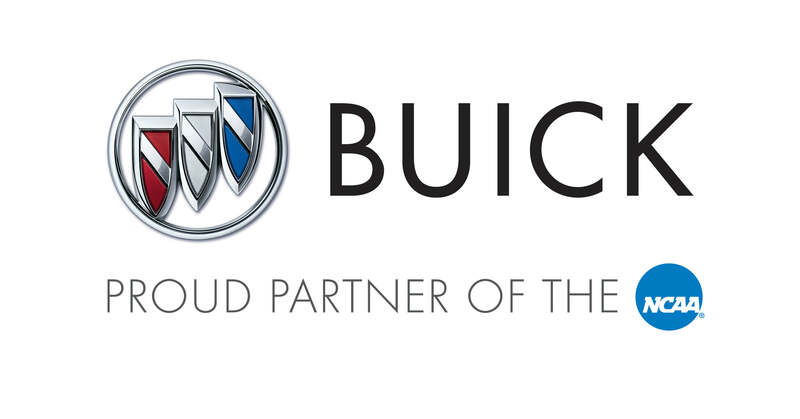 Buick is a proud sponsor of the NCAA and we are thrilled to be part of some of the seminal Final Four events and programs, designed to celebrate youth and diversity. We will be at Fan Fest in the Minneapolis Convention Center, the Buick Dribble Parade, at the Big Game in US Bank Arena and All Around Town with the Grab A Buick Program. exhibits, renovated grounds and new dog events. Come see, try and buy the latest in hunting equipment and to learn from a variety of expert sportsmen and sportswomen. Often referred to as the “Great Minnesota Get-Together,” the annual Minnesota State Fair is one of the most popular tourist destinations in the region, attracting nearly 2 million guests annually. This end-of-summer tradition is always held the 12 days leading up to and through Labor Day. Located midway between Minneapolis and St. Paul, the 320-acre Minnesota State Fairgrounds is renowned for its beautiful gardens and architecture reflecting the art deco and Works Progress Administration eras. Hundreds of events are held on the fairgrounds throughout the year during the non-fair time, including horse and livestock competitions, merchandise sales, expositions, car shows and more. If you’re new to HayDays, you’re in for a real treat! Hundreds of racers from across the country, Canada and even Europe, travel to HayDays for the granddaddy of snowmobile grass drag racing. Besides world record setting grass drag races, HayDays provides a full weekend of entertainment and enjoyment for all ages. And keep in mind admission is FREE for kids 12 and under. Adult pricing is $30 for the weekend or $15 Sunday only. If you do bring the youngsters, be sure to check out the MnUsa booth where kids can register to win a new snowmobile or atv.